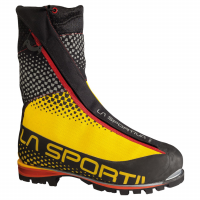 Raising the bar of high-alpine mountaineering footwear, La Sportiva's Batura 2.0 GTX combines two layers of GORE-TEX for bomber warmth and complete waterproof protection. 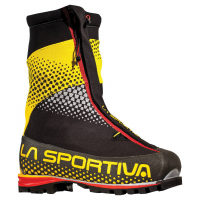 Outside elements are deflected with an integrated gaiter that's outfitted with stretch GORE technology, while the inner GORE-TEX layer moves moisture away from your feet so they aren't compromised when you're making new routes above the treeline. 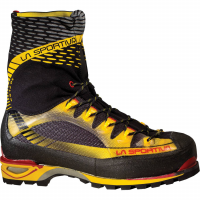 The stiff honeycomb carbon insole gives you ample support for front pointing and edging on rock, and the ow profile upper and midsoles climb better with or without crampons.